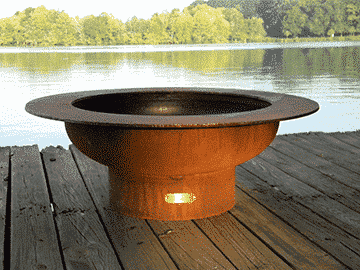 Saturn Fire Pit comes complete with 120k BTU CrossFire Burner, 24″ plate. 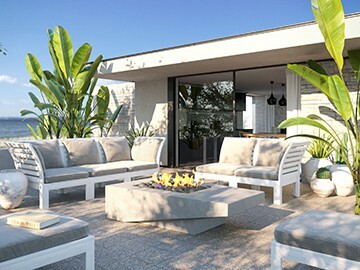 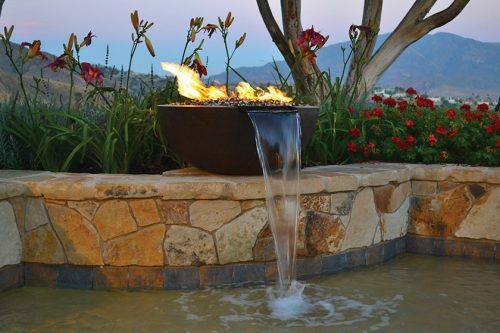 The Saturn Fire Pit reminds us of its namesake planet Saturn with the spectacular ring feature in the night sky. 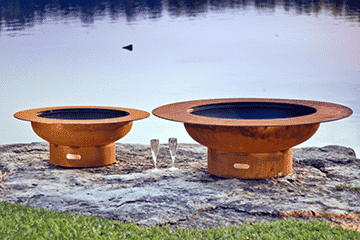 The fire pit ring is a convenient resting spot for a beverage or as a footrest as the embers glow under a full moon. 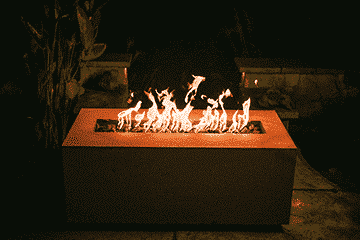 Match Lit System: Comes complete with Saturn match lit fire pit, Warming Trends Original Crossfire Brass Burner, Lava Rock, Flex Line Kit and Burner Plate. 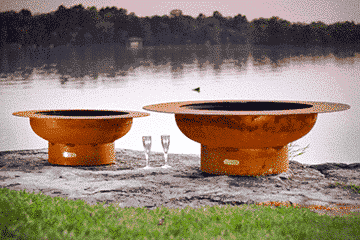 Saturn Fire Pit comes complete with 120k BTU CrossFire Burner, 24″ plate, flex line and key valve set, 60 lbs. 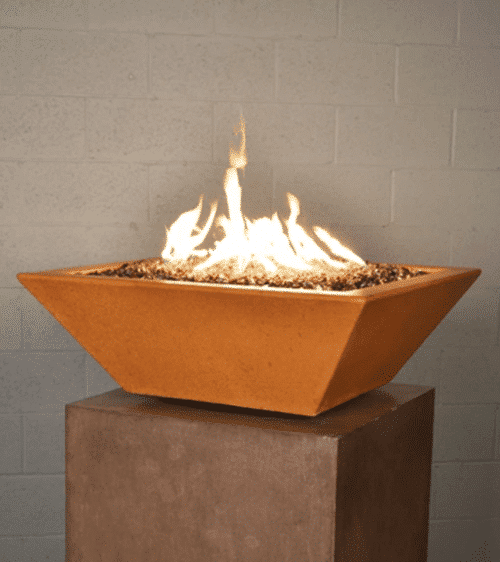 lava rock, 125 lbs. 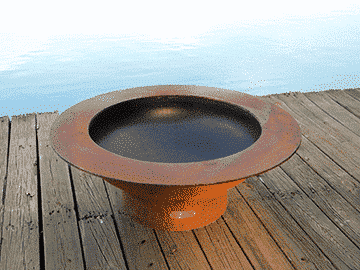 total weight.